Hello again Villains! 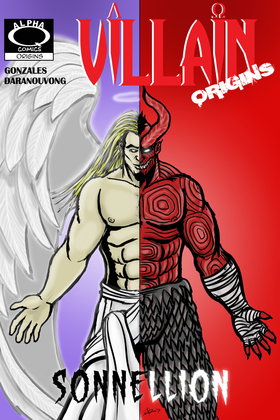 Welcome to Villain Origins: Sonnellion. We know next to nothing about the red menace and now is our chance to drive deep into his likes and dislikes. Does he prefer sunrises or sunsets? Walks on the beach or hiking in the mountains? Does he like red or white to pair with the blood of his enemies? Find out the answer to these questions (no not really) and many more in this exciting addition of Villain Origins! Till next time evil-doers. Now is your chance to reread VILLAIN 6. It will go down as soon as the printed issues are in hand! Issue 6 will debut at Grape City Con and be available in the VILLAIN store and on Indyplanet.com. See you in Lodi! Thank you for reading. We’ll see you next update!